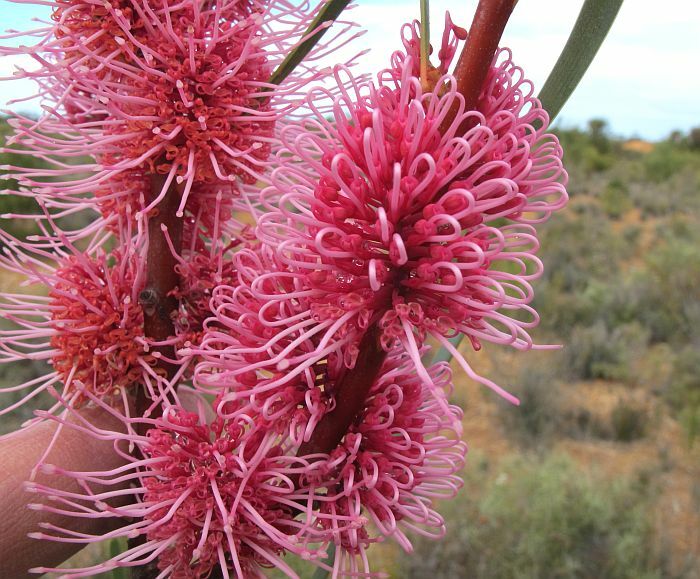 Hakea multilineata is one of the most visually appealing hakeas with its large pink/red poker like flowers, although these are really several large flower clusters along the stem that grow into each other and appear as a single flower spike. 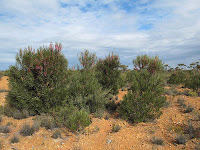 The shrub if hemmed in by tall plants can reach 6 or more metres (20') in height, but those growing in an open situation are shorter and more bushy. 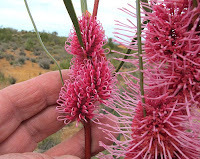 The leaves are long and slender and have no sharp points, although they are held rigidly above the horizontal, and due to their longitudinal veins the plant has inherited the species name of multilineata. 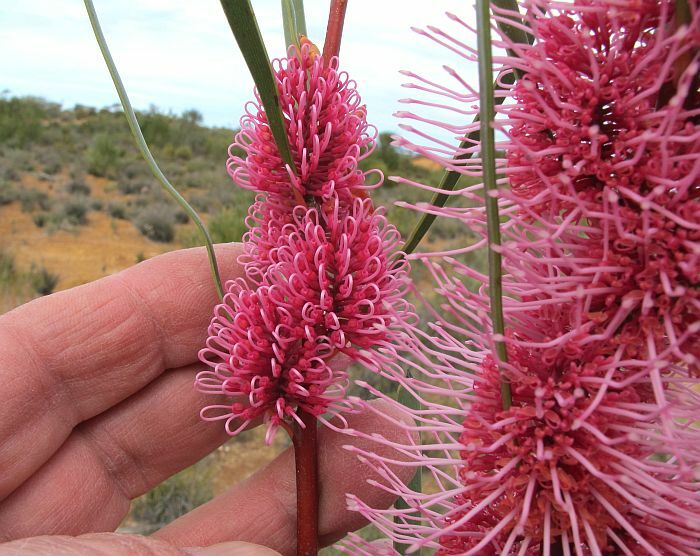 This Grass Leaf Hakea grows away from the coast, favouring pockets of gravely soil that are common in wheat growing areas and nearby mallee regions. It can also be encountered on sandy loams over limestone, although these topsoils would not be highly calcareous. Commonly found NW of Esperance and can also be located to the north and northeast of the town, but less so. The combined axillary flowers often form flower spikes in excess of 30 cm (12") in length and are very popular with honeyeating birds. 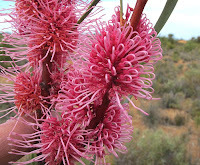 Officially Hakea multilineata is recorded flowering from June to September, but locally August to October would be more the norm, which may be explained by the temperature/rainfall variation of inland districts.